Everything you need to know about us all in one convenient location. If we aren't able to answer you question here, feel free to reach out directly and we'll see how we can help. HALO-Flight,Inc. is a non-profit air ambulance service working with first responders and medical professionals getting patients to a higher level of care. How much of my donation actually benefits patients? HALO-Flight,Inc. 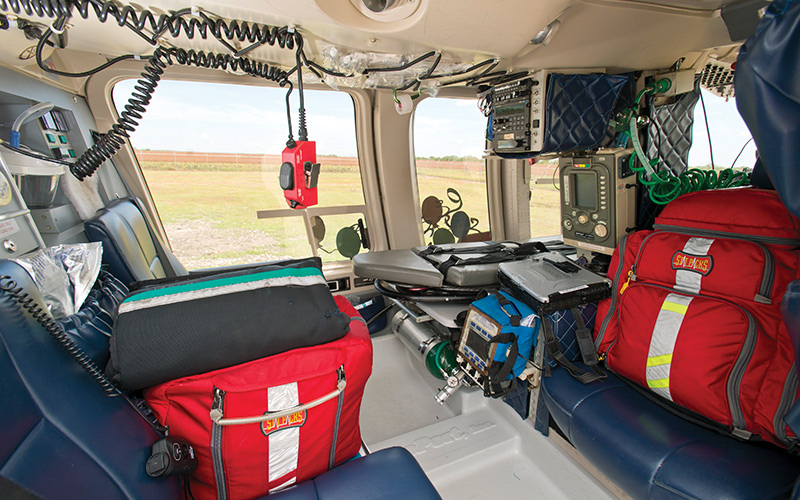 is committed to helping those in need of medical air transportation within and from the South Texas region. Therefore, we keep our overhead costs as low as possible. We are proud of the fact that over 90% of donations are directly utilized within our operations. The remainder is for our administrative costs. Your donation helps HALO-Flight,Inc. to keep its outstanding safety record by providing our pilots and crews with the most updated training and equipment available; along with the equipment necessary to keep our helicopters standing by ready to lift off with a moment’s notice to ensure a better patient outcome. How is HALO-Flight,Inc. making a difference in South Texas? HALO-Flight, Inc. is making a difference in South Texas by being the only non-profit air ambulance service in the area. We are always ready to take a call and lift off. This includes inter hospital transfers when we transport a patient from one hospital to another hospital for a higher level of care, as well as First Responder calls to scene flights at locations where accident have happened. How else is HALO-Flight involved in the community? HALO-Flight is involved in the community in many ways. We have an EMS Training Academy that operates on the campus of Coastal Bend College – Alice Campus – providing training for tomorrow’s professionals today. We also have an education department that provides a variety of free classes for EMS Services, Firefighters, Law Enforcement, and Hospital staff within the region. In addition, we offer the Guardian Subscription Plan to individual families, businesses and organizations as well as Ranchers to help defray costs associated with a HALO-Flight service, dramatically reducing out-of-pocket cost to them. How can I request an education course? You can request an education course by clicking here. Where can I find additional information about the EMS Training Academy and its schedule? You can find additional information by clicking here. How do I become a Guardian Member? Where can I find HALO-Flight's most recent Annual Report? How can I launch you? Click here to review our launch protocols. Please keep in mind that only EMS staff, hospital personnel, and law enforcement officials have the ability to launch us. How does HALO-Flight,Inc. communicate with ground units during a flight? We have several different options to ensure that we never lose contact with ground personnel during a flight. We can communication via Satellite phone, VHF radio, and 800 MHZ radio. What GPS format does HALO-Flight,Inc. prefer? We prefer the following format: Degrees, minutes, seconds. You can apply for financial aid by filling out Financial Assistance Statement. You can also get additional information by reviewing these: Financial Assistance Letter & Financial Assistance Checklist. Who do I contact for questions about billing? HALO-Flight, Inc., contracts with a third party, Intermedix, to file your primary insurance. We make every reasonable effort to help you receive reimbursement for insurance or other third party programs to which you belong. Payments of fees are the patient’s responsibility and the success in securing reimbursement from a third party does not lessen your obligation to pay HALO-Flight,Inc.promptly. Questions regarding financial matters should be directed to our billing company at 1-800-994-0905 who will be happy to work with you on such matters. In the case of minors, the person having custody and/or requesting the service will be responsible for the fees for such services. HALO-Flight, Inc. is a non-profit company offering services to all patients regardless of the ability to pay. For patients seeking assistance, please complete the financial application. All information is required to determine if assistance is needed. Assistance may be granted in part or full for services. Assistance is only granted after all insurance options are exhausted, financial information is reviewed and qualifications are met.